The robots were on display at this week’s Pepper World in Tokyo. The duAro robot is a modern industrial robot, boasting fine-grain motion every bit as precise as (if not more than) a human. 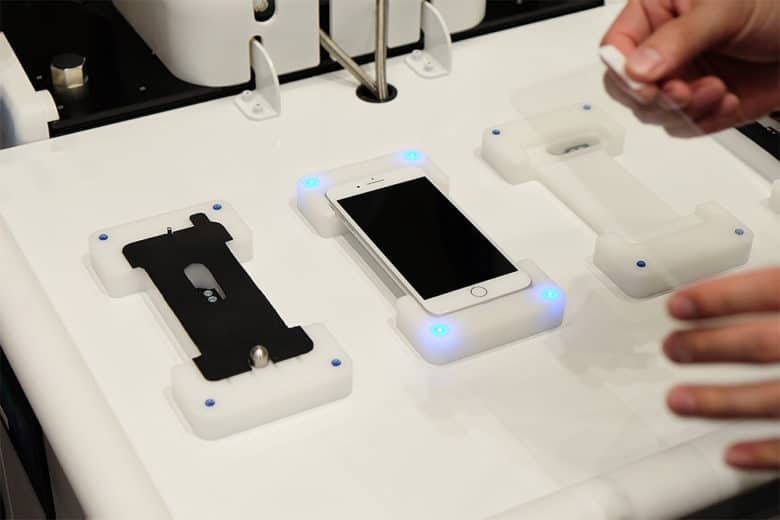 Each arm can carry out independent motion, and the robot can easily be reprogrammed to carry out a range of tasks — meaning that it’s not limited to slapping on iPhone screen protectors for all eternity. In recent years, more and more of the iPhone manufacturing process has been carried out by robots. Last year, a report claimed that Apple supplier Foxconn had installed a massive 40,000 robots for handling manufacturing tasks at its factories in China. Future robot production by Foxconn is expected to hit around 10,000 units per year.